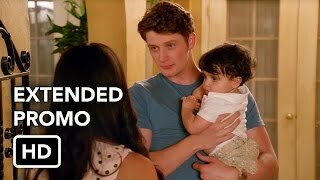 Jane The Virgin 2×22 “Chapter Forty-Four” (Season Finale) – After moving up the wedding day, Jane (Gina Rodriguez) and Michael (Brett Dier) find all their carefully made plans thrown into chaos. To make matters worse, Jane is unhappy with her current graduate thesis, but changing it might put a wrinkle in her big day. 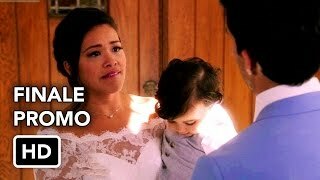 Rafael (Justin Baldoni) still has feelings for Jane, but is torn about whether he should speak now or forever hold his peace. Petra (Yael Grobglas) has her own family drama when Anezka (Yael Grobglas) has a medical emergency and ends up in the hospital. 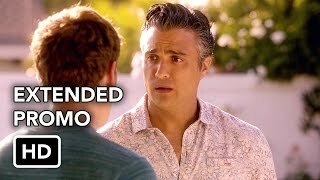 Meanwhile, Rogelio (Jaime Camil) and Xo (Andrea Navedo) are finally coming to terms with the state of their relationship until Xo gets surprising news. Ivonne Coll also stars. Jann Turner directed the episode written by Paul Sciarrotta & Jennie Snyder Urman (#222). Original airdate 5/16/2016.